If you’re in need of a wedding reception tent, the Lulu Pearl is a high end tent that is perfect for the occasion. 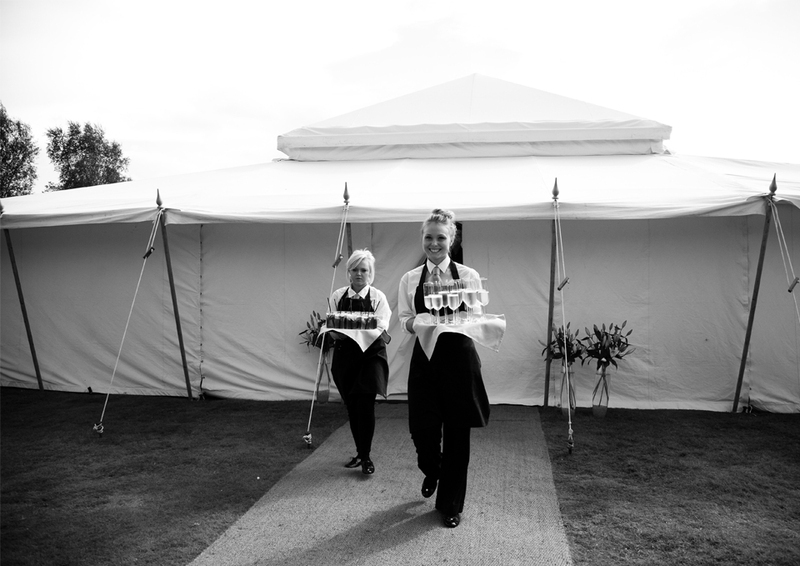 These unique marquees are as stunning inside as they are outside with a dramatic pyramid top creating a luxurious vaulted ceiling reminiscent of an Orangery and provides the ultimate light and airy atmosphere. 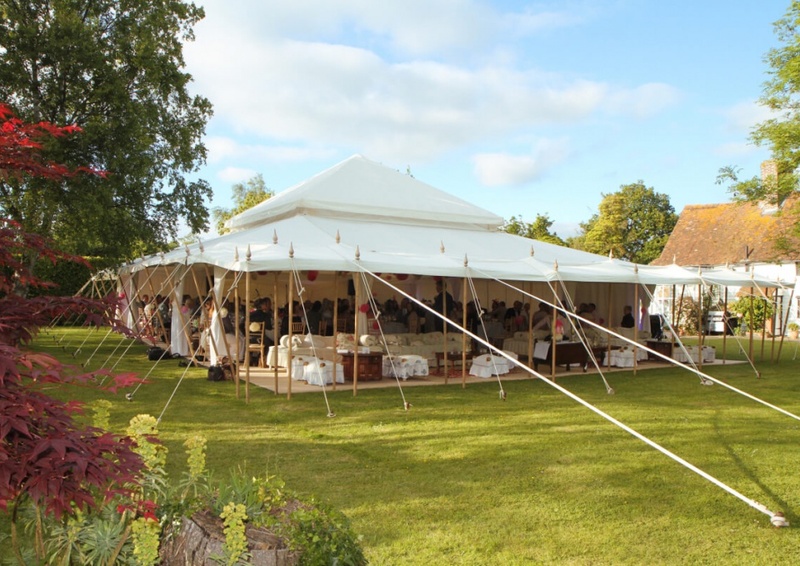 The Lulu Pearl tent is a Moghul marquee that has a modular design and can be configured in a number of different ways using extension tents on each of it’s 4 sides as well as having the option of extending the veranda at the front using the Picco extension. It Is suitable for parties of up to 150 people for an informal cocktail party or for a wedding of 90 to accommodate dining, a dance floor and bar area. 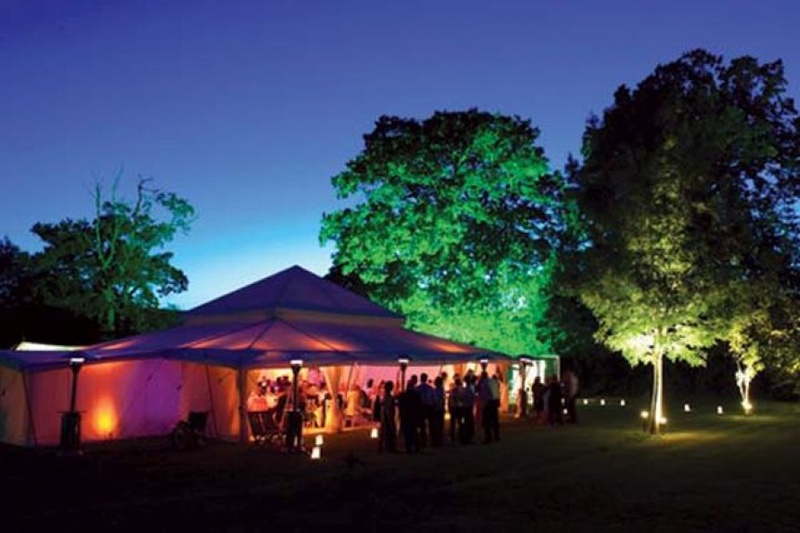 The Lulu Pearl is most suited as a wedding tent and elegant dining events but has also been used for a variety of other applications including as a bar for Lauren Perrier, as a dressing room for MAC cosmetics and as a Safari-lodge style tented bedroom. 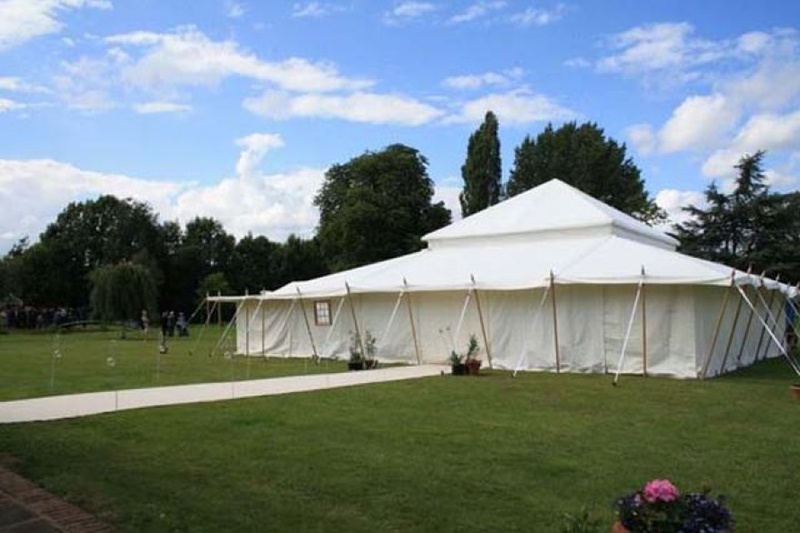 It is made in the UK from the finest white canvas and this Moghul marquee is both waterproof and fireproof. Each component is made using the highest quality materials, and has been tested to withstand winds of up to 50mph. The Lulu Pearl measures 12m x 12m and requires a total space to erect it of 16m x 16m. Additional 6m x 4m rooms can be added to this modular tent that can be used to extend the internal floor space around the perimeter of the tent and are added from the middle of each side to create bar areas, chill-out seating and band areas, allowing the internal floor space within the tent can be arranged both flexibly and interestingly, making it ideal both as a party tent or luxury wedding marquee. The additional extensions can double the floor-space creating an incredible 144 square metres of extra space, all within a clear span of space. 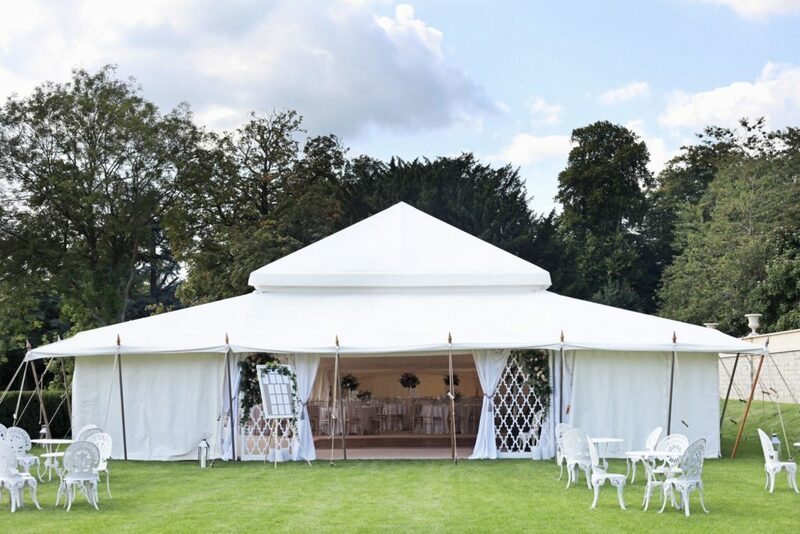 This luxury white canvas wedding tent has a stylish veranda around it’s exterior which creates an ‘inside-outside’ feel and makes it ideal for venues with a view to enjoy. The standing capacity of this tent is around 150 people without any extensions and the main structure can seat 160 people purely as a dining tent or around the same amount with added extensions with extra space for dance floor, bar area and lounge seating. Build-time required for this structure is two days and when calculating the space, it requires an additional 4m of external room to take into consideration the canvas veranda, guide ropes and stake line. Prices from £5,999 + delivery and VAT.